I love the TBYL Book Club. It’s been fantastic to hear what you guy think about our monthly books and the feedback has been really positive. 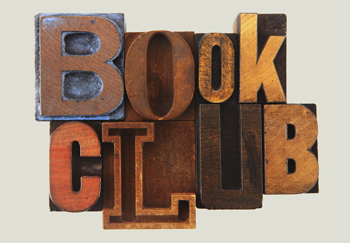 Many of you have told me that it’s a fantastic chance to get involved in a book club, especially for when you’re not able to join a ‘real-life’ club for one reason or another. Last year I set up an online home for the club using SocialGO, which many of you joined. It was great having our own space, but over the last couple of months it’s been a bit difficult to get a really good ‘flow’ of discussions. I think for people it’s not always possible to visit the site, and it can be difficult to remember to visit the site repeatedly. As we all get busier (myself included) TBYL needs to continually adjust and adapt to work smarter, not harder… and for that reason I’m proposing that we now conduct the TBYL Book Club on the existing TBYL Facebook page. I’d love to know what you think about this idea?! I’m going to try this out in May. The structure of the club will remain the same – we’ll discuss the book(s) together starting 27 May 2013. The discussion will start off with some questions from me on Facebook and hopefully the conversation will grow from there. I thought it might be nice to chat about a theme for the May TBYL Book Club, rather than a single book. Next week is Mothers’ Day and it got me thinking about my favourite ‘literary mothers’. For our club I’d like us to have a conversation about Mums and Books. About our favourite storybook mums and about books that remind us of our mum, or other significant women in our lives. If you’d like to be involved, make sure you Like Us on Facebook so you don’t miss the chats. If you’d like to know a little bit more about the TBYL Book Club you can visit the TBYL website here. After we’ve given this new approach a try, I’ll look to you guys for some feedback on how you think it went. I hope you’ll get involved.